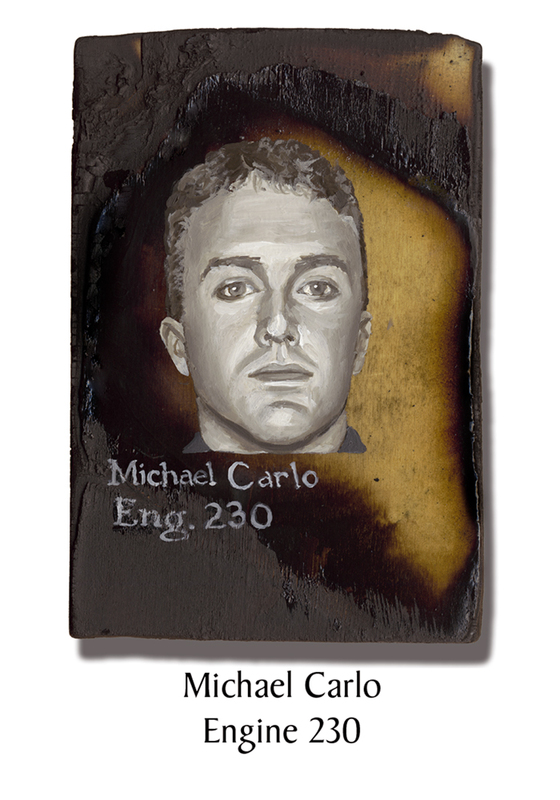 Michael Carlo, 35, was due to go on vacation with his firefighter brother on September 12th. They were headed to Tortola in the British Virgin Islands where they planned to each earn their captain’s certificates from the American Sailing Association. This entry was posted in Better Angels Stories and tagged 343, 9/11, better angels, Dawn Siebel, Engine Co. 230, FDNY, firefighter, firefighters, firefighters of 9/11, LODD, Manhattan, memorial, Michael Carlo, NFFF, paintings, portraits, World Trade Center, WTC. Bookmark the permalink.